It's Monday! What Are You Reading? is a community of bloggers who link up to share what they are reading. For more information and to find out what other bloggers are reading check out the host blogs: Teach Mentor Texts and Unleashing Readers. The Daisy Dreamer series is written for beginning chapter book readers. Each chapter is short and there are illustrations on almost every page. Daisy is a dreamer and a story writer. In the first book, onne of the pictures she draws comes to life and she has an imaginary friend, Posey. 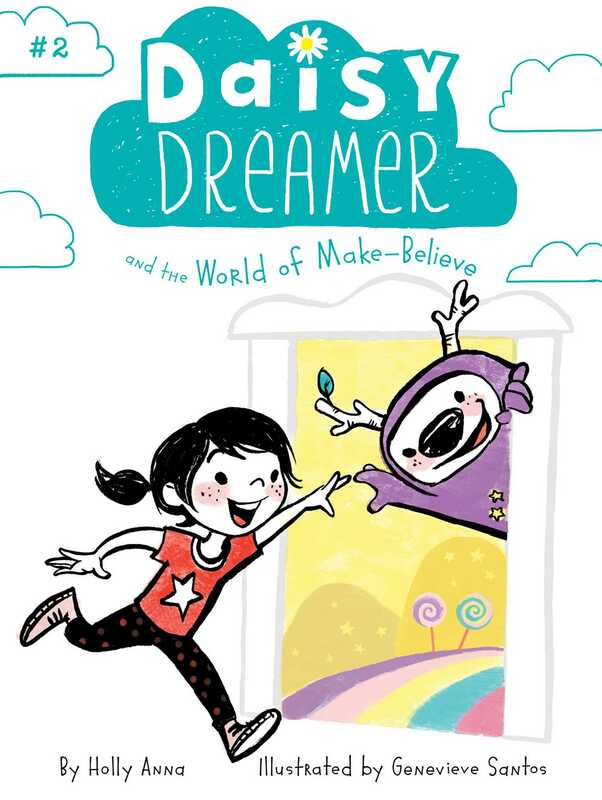 In the second book, Daisy and Posey travel to the world of make-believe. These books are filled with fantasy, magic, and fun imaginary creatures. This is the first in another book series for those readers transitioning to chapter books. Jasmine will be a character early chapter book readers will love. She is determined and shows that you can achieve something if you put your mind to it. Readers can also learn about mochi, a Japanese treat, including how to make it with the recipe in the back of the book. Read more of my thoughts about the book here. This is the newest series in Scholastic's Branches line of early reader chapter books. 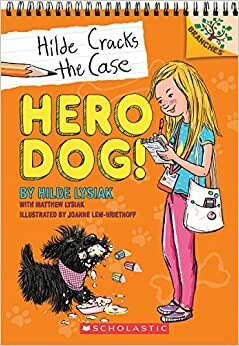 Hilde is a nine-year-old reporter investigating a neighborhood break-in. The clues she follows, along with her sister, seem to indicate that someone is trying to sabotage the annual bake-off. This book will give readers an introduction to the mystery genre and news reporting. The author, who co-wrote the book with her father, began writing her own newspaper when she was seven. The link to her newspaper is included at the end of the book. This is the second book about the Ratso brothers. They were a delight in their first book and continue to charm readers in this one. In their first book they wanted to be tough and in this one they want to tackle their fears. Their dad, Big Lou, offers them great advice. The Ratso brothers, Louie and Ralphie are brave, funny, and sweet. Read my review of this book here. This book will be available in September. This is a book about a boy who is struggling with challenges related to friendship, bullying, and school that many middle grade readers will find familiar. Andrew loves reading so he starts a reading club called the Losers Club, but running the club gets a little complicated. This book spoke to my heart as a book lover. This is another Andrew Clements novel that I think middle grade readers will really enjoy and it might even give them some ideas about what to read next. You can read my review here. Shelby Holmes is very smart and she knows it. She has an uncanny ability to figure things out based on her observations and uses this skill to solve mysteries. John Watson has recently moved in next door to Shelby and has become her assistant. Shelby and John go undercover to solve a new case, but John is keeeping this a secret from his mom, who does not approve of Shelby's super sleuthing. There are a few twists that keep the mystery interesting. Shelby and John are interesting, as well, and their friendship is heart-warming. They are two kids with very different personalities, but they prove to be supportive and loyal to one another. 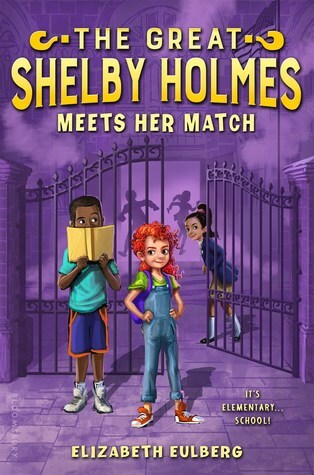 I have many readers who request mysteries, so this and the first one in the series, The Great Shelby Holmes, will be books I recommend. The book publishes in September. This guide to creative writing for kids is informative and entertaining. Gantos gives useful advice about journal writing, finding ideas, crafting a story, and revising. Throughout the book, Gantos has integrated humor with stories of his own life and those who have inspired his characters. With the examples he provides in the book, Gantos gives inspiration to those young readers who strive to be writers. Gantos's words also serve as encouragement for those who might not believe they are writers. This is a book written for kids, but as a teacher of writing I learned some things as well. I loved The Loser's Club and have it on my blog this week. Shelby is on my TBR list. 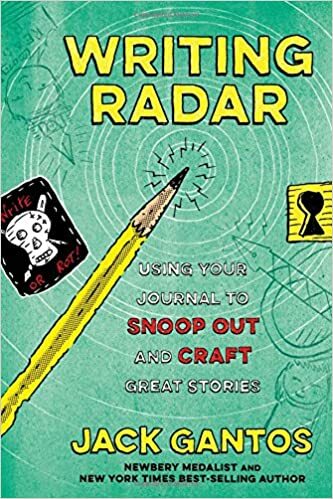 I will definitely look for Writing Radar. Thanks for sharing! I now have to read the first Shelby book since I skipped over that one. Your collection of books here today look fascinating. 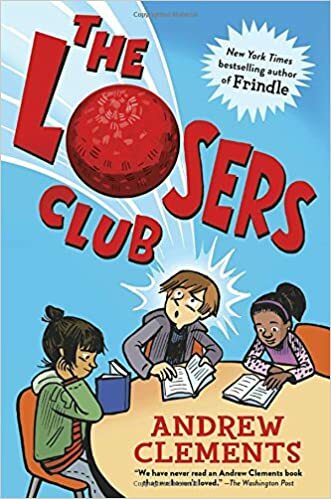 I like Andrew Clements so The Loser's Club has been added to my list. 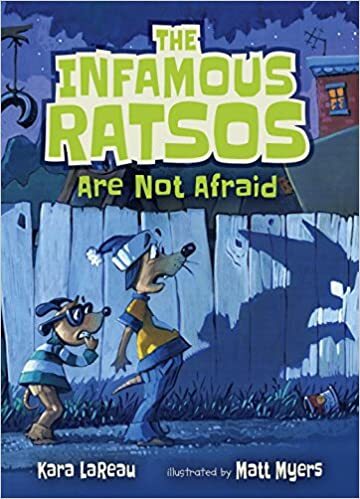 I'm going to have to find and read the first Infamous Ratsos title! You'll love The Loser's Club! I really need to get to the Shelby Holmes books. I think I have readers for that series. Loved The Loser's Club so much! 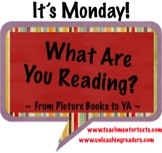 Great transitional chapter books on your list! The Loser's Club is definitely one of my favorite reads from this summer. I may not get to all those early reader books, am less interested right now, but have noted them for when the youngest granddaughter needs them. I will look for the Clements' book. I think he writes great stories! Thanks, Lisa! He is a fabulous author! Hard to go wrong with Clements, even in middle school. I'm debating Mochi Queen, though. Might be a little young, although I've had sixth grade girls read all manner of realistic fiction books I would have loved in 2nd grade. 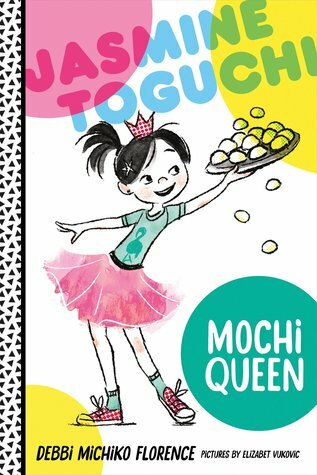 I'm thinking Mochi Queen will be appealing to my second and third graders. Daisy Dreamer has been popular at the store. I should check it out. It may be good for fans of DORY fantasmagory. I can see Daisy Dreamer being popular because of the fantasy aspect. Like seeing these early novels here. I may be purchasing some of them for my classroom this fall! I think you're students will enjoy them! Infamous Ratso is one that I've recently being seeing as the 2nd one comes out, and I completely missed the first one! Same with Shelby Holmes! I'm sad, and I'll have to get my hands on them. I enjoyed the first Shelby Holmes book, so it'll be fun to check out this follow up! Have a great week! Writing Radar looks like so much fun! I definitely have to buy that Gantos book - it looks like one for my writing workshop resources bin. These look so good! 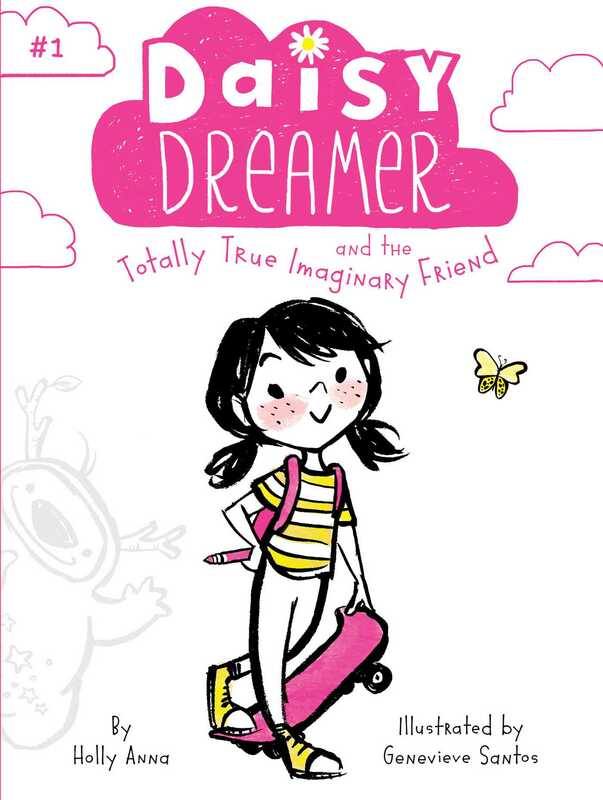 I'm waiting for Jasmine Toguchi and Daisy Dreamer to come to my library - the kids in my library are majority Asian, so it's wonderful to have young protagonists that help young readers feel reflected and respected.